On average, assisted living residents pay slightly more in Dallas than they do around the rest of the country. According to the 2015 Genworth Cost of Care Survey, prices for assisted living average out to $46,722 per year, which is a tick higher than the national average of $43,200. This annual figure breaks down to $3,894 per month, or $128 per day. These figures translate into an assisted living experience that is substantially less when compared to the average cost of traditional nursing home care. In Dallas, the average price tag for a semi-private room for nursing home care is $56.940. For a private room, this average cost jumps up to $78,475 per year. While every assisted living community possesses an endgame of providing a comfortable living environment for golden agers, each of them goes about their business in their different ways. In Dallas, these differences can be partially shaped by the communities that surround them, such as the revitalized Design District to the upscale Oak Lawn District. Typically, these difference will manifest themselves through each venues’ various a la carte services that can be included with each resident’s monthly fees. Private living quarters. The size of these units typically ranges from a simple room to a multi-bedroom space akin to the size of a small house. Usually, these quarters are similar to a studio or a 1-bedroom apartment. 24-hour security and supervision. These include on-site security and on-call nursing assistance. Emergency call systems in each living quarter to summon help when it is needed. Daily meals and snacks. These are typically served in a main dining area restaurant style. Housekeeping and laundry services. This typically includes a weekly linens change and a weekly cleaning. Wellness and fitness programs, ranging from modern programs such as yoga to more traditional elements like an on-site gym. Basic utilities, such as electricity, natural gas, and water. Medication services, including reminders to take scheduled medications and refills. Social and recreational activities. Some of these activities include movie nights, game nights, holiday parties, and field trips to points of interest such as Dealey Plaza and the Dallas Museum of Art. Shopping and transportation aid. This is usually provided on a regularly scheduled basis to medical centers, retail shops, and local grocers. The Texas Veterans Commission provides aid to the state’s numerous veterans through the ins and outs of the VA benefits system. 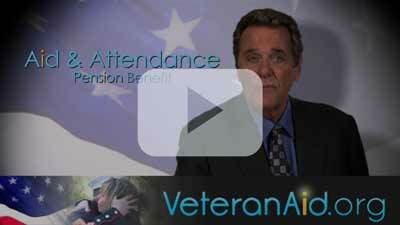 Moreover, veterans that wish to help fellow retired vets figure out their benefits can do so by volunteering. When Dallas is combined with neighboring city Fort Worth, veterans will have the chance to explore numerous military-themed points of interest. For instance, the Military Museum of Fort Worth is home to several artifacts and rotating exhibits that stretch back to World War I. The Texas Civil War Museum, also in Fort Worth, shines the spotlight on the Lone Star State’s involvement in the country’s infamous schism through artifacts, historic flags, articles of clothing, and more.